Kat Mendenhall opened vegan lifestyle boutique MendRT last month. Photo by Lindsey Miller Photo. Kat Mendenhall is bringing cruelty-free fashion to Dallas with her vegan lifestyle boutique. Being vegan isn’t just about what you ingest; what you put on counts, too. Kat Mendenhall, owner of vegan boutique, MendRT, has been reminded of this on several occasions. After selling her boots online for a few years, Mendenhall opened her brick-and-mortar vegan boutique last month at 1130 Dragon, Suite 240C. (It’s in the same building as Laura Rathe Fine Art.) Inside, you’ll find everything from polyurethane purses to bath and body products like soap and lip balm made without animal products or animal testing. 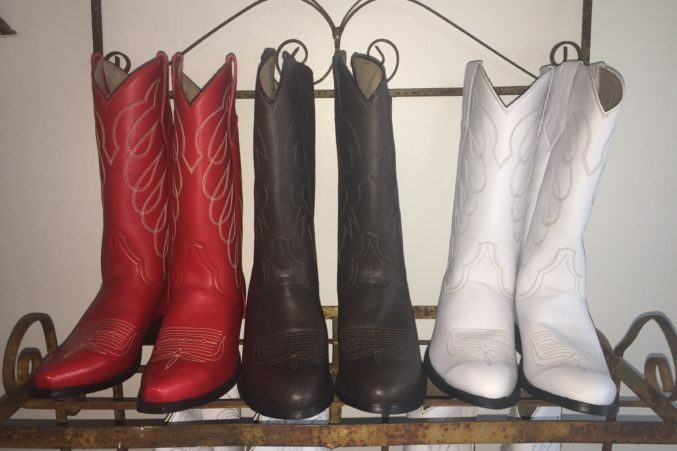 MendRT’s vegan cowboy boots are made with a texture of synthetic organic material with a polyurethane base. Photo by Jeremy Hallock. 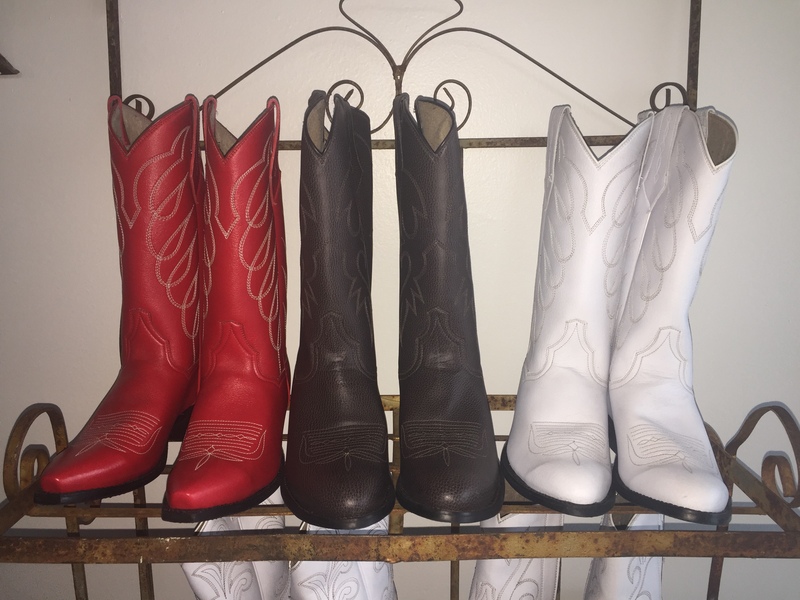 Mendenhall, a Texas native, grew up around cattle ranching and has always loved cowboy boots. Seven years ago, she committed to a vegan diet for health reasons and quickly became passionate about it, leaving a 28-year career in sales management and taking a course at New York City’s Main Street Vegan Academy. But she couldn’t give up on cowboy boots, so she decided to learn how to make them animal friendly. Four years ago, a Google search for “vegan cowboy boots” produced no results. Inspired, she started creating boot designs. But it took considerable effort for Mendenhall to find a boot maker in Texas with an interest in producing a vegan cowboy boot. She contacted 25 different companies and five responded, mostly to advise her against pursuing the idea in an industry that some call a dying art. Tomasso Arditti, an El Paso-based handmade boot purveyor, was interested, and they started working on the first prototype two years ago. Determining the right material was the greatest challenge. Mendenhall knew of European fabrics used for hats and shoes overseas but wanted something nationally sourced. She dismissed PVC material as a cheap alternative to leather and eventually decided on a specific texture of synthetic organic material with a polyurethane base.